In February 2018, the MOSES kickoff meeting organized by NUI Galway in Ireland, officially launched the start of the project. 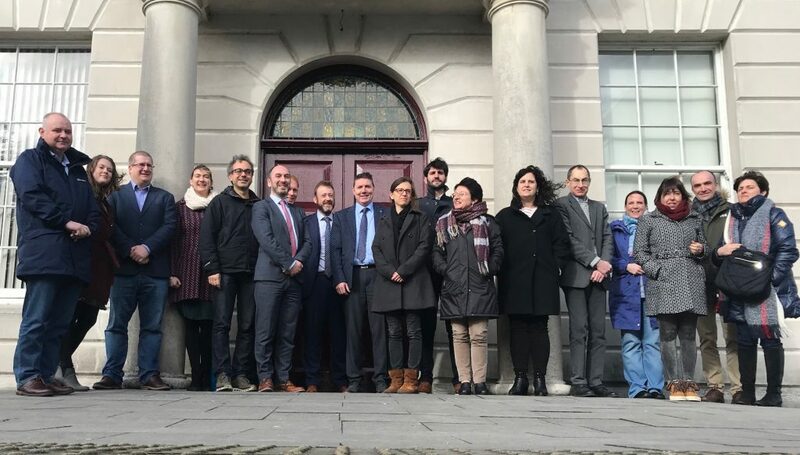 A group of 20 researchers and regional representatives from the 8 partner organisations embarked on Galway for the first meeting of the project. The meeting was held over two days, and although the weather was cold, the discussions had everyone heated up in no time! At the meeting, partners had the opportunity to introduce their organisation (although many had worked together previously on the Marnet project), and the work package that they will be leading. Case studies across all partners were presented, with a ‘living lab’ approach. The next partnership meeting will be held in Bilboa, Spain in November.